Coastal Painting of Lee County Inc.
Our goal is to connect people with the best local experts. We scored painters on more than 25 variables across five categories, and analysed the results to give you a hand-picked list of the best painters in Fort Myers, FL. Ace Painting is a family owned and operated company that has over 20 years of experience in servicing homes or businesses located in Southwest Florida. ACE also known as, “A Competitive Edge,” is a fully licensed and insured residential or commercial painting contractor serving all South West Florida. They have trained and experienced craftsman who are dedicated to making sure the customer is completely satisfied with their home or commercial project. Their services include interior or exterior painting, residential or commercial painting treatments, power washing, pool deck coating, paver sealing, clear coating, staining, and more. Clients who contact a staff member will be able to take advantage of free estimates as well as in-detail descriptions of services. Cape Coral Paint Pros is a residential and commercial painting company that serves the greater Cape Coral area. They offer a range of services including interior and exterior house painting, fence painting, and deck sealing. Cape Coral Paint Pros can also perform exterior powerwashing for vinyl and concrete. They want new customers to know that they are committed to providing friendly, knowledgeable service. Cape Coral Paint Pros provides free estimates and can work with homeowners to narrow down color options in advance of any project. They have received positive customer feedback for their attention to detail and their timely service and are featured on Yelp and Angie’s List. Coastal Painting of Lee County Inc. is a painting contractor in Cape Coral, Florida, specializing in interior and exterior painting. Their services include interior and exterior painting, commercial and residential painting, specialty painting and staining, cabinet refinishing, brush and spray applications, plus more. Coastal Painting of Lee County Inc. also provides wall and ceiling texturing, garage floor coatings, and faux finishes. The repair and installation services they offer include drywall patching, finishing, and installation, stucco and drywall repair, acoustic removal and/or repair, plaster and/or texture repair, wood repair and/or replacement, pressure washing decks and wood preservation, etc. Coastal Painting of Lee County Inc. has the expertise to perform each job excellently. They offer a free consultation and estimate for their customers. Garcia Family Contractors is a painting contractor in Lehigh Acres, Florida. Garcia Family Contractors was founded by the Garcia Family, who have more than two decades of experience in the painting industry. They specialize in interior painting, exterior painting, wallpaper removal, gutter cleaning, garage floor paint, cabinets, and more. They also offer deck refinishing, drywall repair, trim, baseboard, crown molding repair, installations, etc. They can even help in choosing the right color and offers a free color consultation. They provide a free estimate for new customers. Garcia Family Contractors is known for their professionalism, quality, and service. They have been featured on Facebook, Angie’s List, Yelp, and Yellow Pages, and has earned a 5-star rating on Google. M.A. 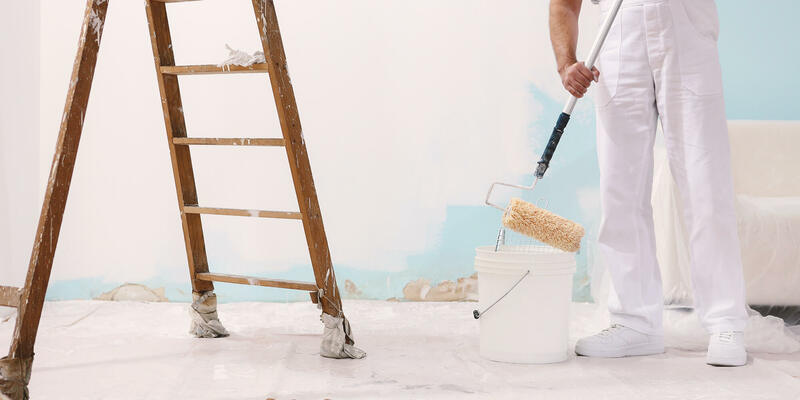 Doddato & Son’s Quality Painting Contractors is a family owned and operated painting business established in 1988 to serve customers throughout metro Southwest Florida. With over 25 years of experience in all phases of interior and exterior painting, the team provides the highest quality industrial, residential and commercial painting services with a focus on meeting and exceeding client expectations. They pride themselves on their quality workmanship and unparalleled customer service. As a registered painting contractor in the state of Florida, the team adheres to industry standards and are fully insured with both Liability insurance and Workman’s Compensation. The company is also OSHA compliant and EPA lead-safe certified. Rogers GSI Painting Contractor serves residential and commercial customers in Sanibel, Lee County, and Naples, Florida, and the surrounding area. Rogerio Anjos has over 25 years of experience in painting and is fully licensed and insured. The painter is available for exterior and interior projects and helps customers choose the best paint and color. Rogers GSI Painting Contractor prioritizes the customer by offering free estimates and custom paint projects. Rogerio Anjos dedicated himself and his company to providing excellent customer service by ensuring honest and detailed work. Customers describe Rogers GSI Painting Contractor as professional, friendly, and thorough, and appreciate their artistic work. Ron’s Painting LLC is a family owned business that has three decades of experience in painting and decorating residential and commercial properties. They have established themselves at Fort Myer in 1986 and are licensed in the Lee & Collier County, Cape Coral, Sanibel, and surrounding islands. Along with painting interiors and exteriors, they also offer decorative faux finishing’s, sealing brick pavers, painting pools, decks and driveways, pressure cleaning, and drywall repair. They pride themselves in the ability to paint a fully furnished room with residents still inside and not make a mess or disrupt daily operations. All of their employees are fully insured and carefully selected by a drug and criminal screening. Ryan Hammond, Inc provides residential and commercial painting services in the Fort Myers area. They are committed to delivering quality work, from design to clean-up, no matter the project. Their devotion to providing excellent customer service makes the painting experience enjoyable, and they take safety seriously. They embrace the ethical standards they would demand from any service provider entering their own homes. Ryan Hammond, Inc can make any idea that a homeowner or business owner has a reality. Along with a full range of interior and exterior painting options, they also paint driveways and garage floors and offer faux finishing and murals. Additional services include wood staining, wallpaper removal and installation, and drywall and stucco repair. SWFL Painting Plus has painted thousands of houses along Florida's west coast. They serve homes and business throughout Bradenton, Bonita Springs, Sarasota, Fort Myers, and Naples. Customers may call for a free estimate. In addition to interior and exterior painting, SWFL Painting Plus also offers property management for homes, condos, and commercial facilities. Property management is available in Lee, Collier, Sarasota, Manatee Lake, and Marion Counties. The team strives to deliver high-quality results and exceptional customer service throughout the entire process. Customers say SWFL Painting Plus is an outstanding and professional contracting company worth recommending to friends and family.